Get it now – it's free! 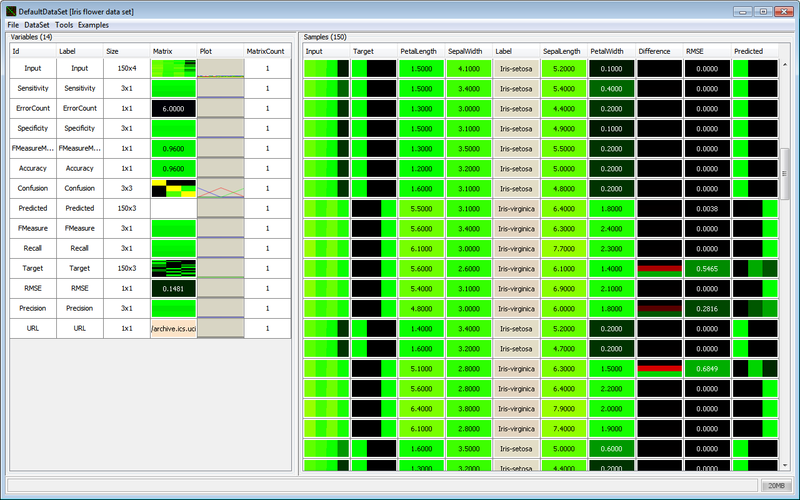 This screenshot shows the visualization of the Iris flower data set in JDMP. JDMP's Naive Bayes classifier has been trained on the data was used afterwards to predict the target class of the samples. This screenshot shows a dataset of animals with their properties like "can fly" or "has feathers". The dataset has been clustered using a self-organizing map. This screenshot shows the workspace of the Java Data Mining Package. The main focus of JDMP lies on a consistent data representation. Maybe you’ve heard that, for Linux everything is a file. 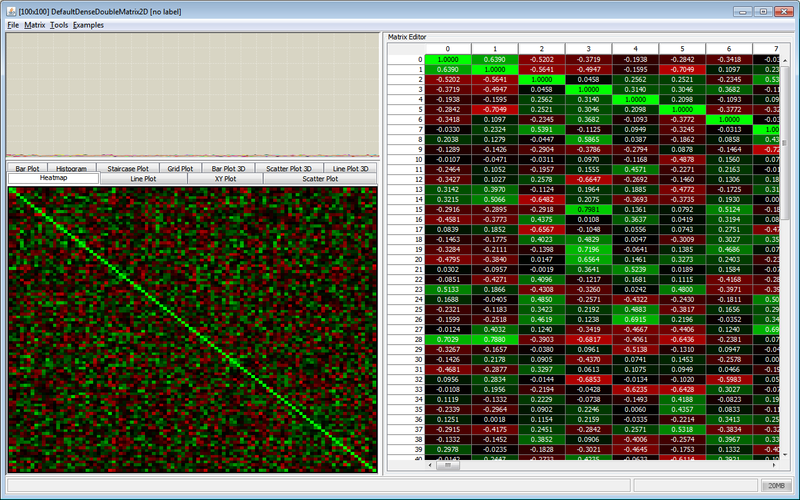 For JDMP, everything is a Matrix! Well, not everything, but many objects do have a matrix representation. 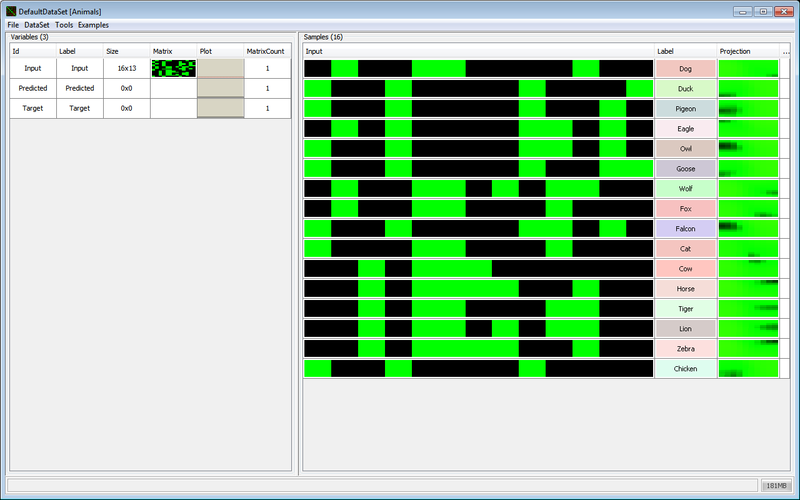 For example: you can combine several matrices to form a Variable, e.g. for a time series. You can access these matrices one by one, or as a single big matrix, whatever is more suitable for your task. 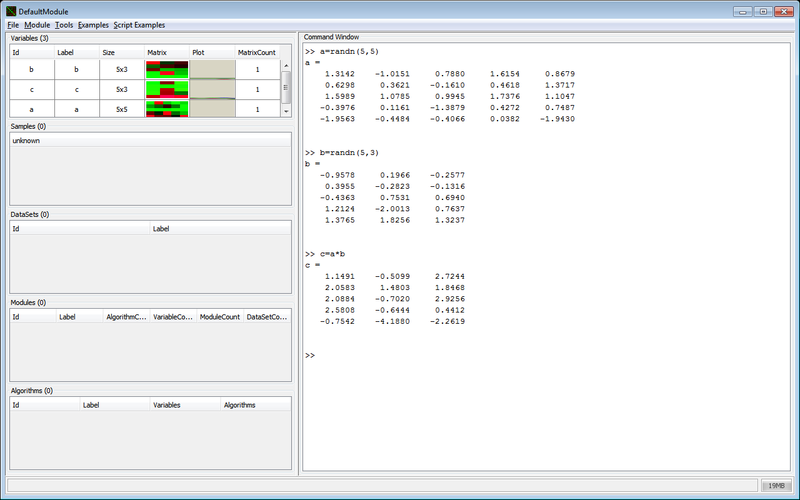 Several Variables are combined into a Sample, like the samples with input and target values in a classification task. Many Samples form a DataSet, which may be sorted or split for a cross validation test. The DataSet can be accesses either sample by sample or as a big matrix for the input features and one for the target values. Algorithms can manipulate Variables, Samples or DataSets, e.g. to perform pre-processing or a classification task. It has to be emphasized that, in JDMP, data processing methods are separated from data sources, so that algorithms and data may reside on different computers and parallel processing becomes possible. However, distributed computing is not yet fully implemented and exists in a “proof of concept” version only. While some parts are pretty stable by now, a lot of development is still going on in other parts, which is why JDMP has to be considered as experimental and not yet ready for production use. While some parts are already pretty stable, a lot of development is still going on in other areas. There is no guarantee that everything will be working as expected. Be prepared for renamed methods and interfaces from one version to the next. Since many things are going to change anyway, we didn't bother to write much documentation. Developers are welcome to contribute new features, test cases or documentation. If you like this library and it does something useful for you, a small donation will be very much appreciated to help cover server costs and ensure the coffee supply for further development. Thank you very much for supporting open source software! Then click on "Tools - JDMP Plugins" in the menu bar and see what third party libraries are supported. Chose the tool you want, add the necessary dependencies to the class path and restart JDMP. You are welcome to contribute, just send me a pull request on GitHub. JDMP uses the Universal Java Matrix Package (UJMP) as a mathematical back-end for matrix calculations. UJMP provides most of JDMP's import and export filters and is used for visualization. Since most of JDMP's objects can be converted into a "matrix view", UJMP is a very important building block in JDMP and helps to keep the code nice and simple with the ability to handle very large matrices even when they do not fit into memory. Import and export interfaces are provided for JDBC data bases, TXT, CSV, Excel, Matlab, Latex, MTX, HTML, WAV, BMP and other file formats.